The are many benefits that come with insulating your home which include reduced energy bills, a reduced carbon footprint and more obviously, a much warmer home. The UK has some of the oldest housing stock in the developed world and consequently has some of the most inefficient housing in terms of heat retention and energy consumption. Much of the heat that is lost in your home is through the walls and loft. Around 25% of the heat that is lost is through the roof with 35% lost through the walls and another 10% lost through windows. By having 10cm of fiberglass insulation fitted in the loft you could see a potential reduction in heat loss of 75% in that area of the building. An estimated 35% of the UK’s carbon emissions come from everyday things in your home. By having your home insulated you can help to reduce this number and, in return, reduce the cost of heating your home. The most effective way to prevent this kind of heat loss is through the installation of cavity, wall and loft insulation. You will then be able to use much less energy when heating your home and it will take less time to warm up, and retain more heat for longer after the central heating is switched off. You will also have the benefit of a cooler home during the summer. By installing cavity and loft insulation you will give your home a greater energy efficiency rating which is likely make it more appealing to potential buyers in the future. The insulation will have a positive impact on your properties EPC rating which could have a beneficial impact if you are considering selling or renting out your property. 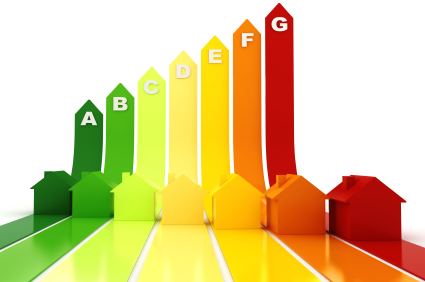 Having a higher EPC and a better efficiency rating can increase the value of your property. There are also a number of government grant schemes designed to help you install renewable energy sources in your home. The cost of having cavity wall insulation installed could be around £500 but you may be eligible for a cavity wall insulation grant to cover the costs, see the green deal for insulation page. Many of the renewable energy schemes can include renewable energy solutions like solar panels and solar thermal systems. You must have sufficient insulation installed in your property to qualify for the schemes to ensure the heat is not going to waste. Insulation is also very effective at absorbing sound and will help to reduce noise transmission through the building giving you a quieter and more comfortable environment.Having insulation installed in your home could potentially save your hundreds of pounds per year off your energy bills so should be the first port of call when thinking of ‘going green’. Insulation is one of the main acknowledged ways of reducing carbon emissions output as well as helping to reduce the consumption and reliance of fossil fuels. There are other simple ways of insulating your property like covering letterboxes and fitting draft excluders to doors. Small changes like these can still take money off your energy bills. Having cavity and loft insulation installed can also help reduce condensation that can occur in and on the roof or ceiling.